Seke! Seke! My name is Isatu, and I am a Themne. My people claim to be Muslim but we still practice many traditional religious things as well. When I was a baby, I was sick a lot. In order to help me breathe, the sorcerer wrapped a leaf in tobacco, lighted it and wafted it in my face until I sneezed. Once my mother left me on the trash pile because I was sick so often. My mother thought this would make me angry so I would stop being sick so much. When I was ten, I went to live in the forest for six months at a special bush school conducted by the Bondo secret society for women. I learned Themne customs, like how to make a powerful charm out of a cigarette container, how to respect the devil and put a curse on someone, and how to be a good Themne wife. I was circumcised as part of the training, although l I prefer to call it female mutilation because of the pain I still suffer as a result. My family arranged my marriage. My husband is much older, and he already had a wife. I know that when my husband dies, my children will belong to my husband's family, and I would be invited to be one of my brother-in-law's wives. I could choose to return to my parent's family, but I would lose my children. I understand that this is the Themne way. I must follow the ancient traditions or the ancestors and spirits will be displeased. We have a special small hut on the edge of our village for the ancestors. That is where we go to make our sacrifices. A white chicken is especially pleasing to our ancestors. If we neglect the spirits, terrible things may happen to us. My people live in fear all the time. Is there any release from this fear? The people of one Themne village, relatively close to Freetown, suffered the loss of their homes during rebel activity five years ago. They came on foot to Freetown, but the city-dwellers were also suffering the effects of war and had little to share. They reached a fenced churchyard in the city where they were allowed to sleep. The people of the church shared the little food that they had. Sierra Leoneans prefer to eat rice, and they apologized that they only had bulgar to share. They tried to help with clothing and other physical needs, too, although these things were scarce. During this time, the church members and these Koya Themne became very close. When the time came to return to their village to rebuild, church members helped them and accompanied them. 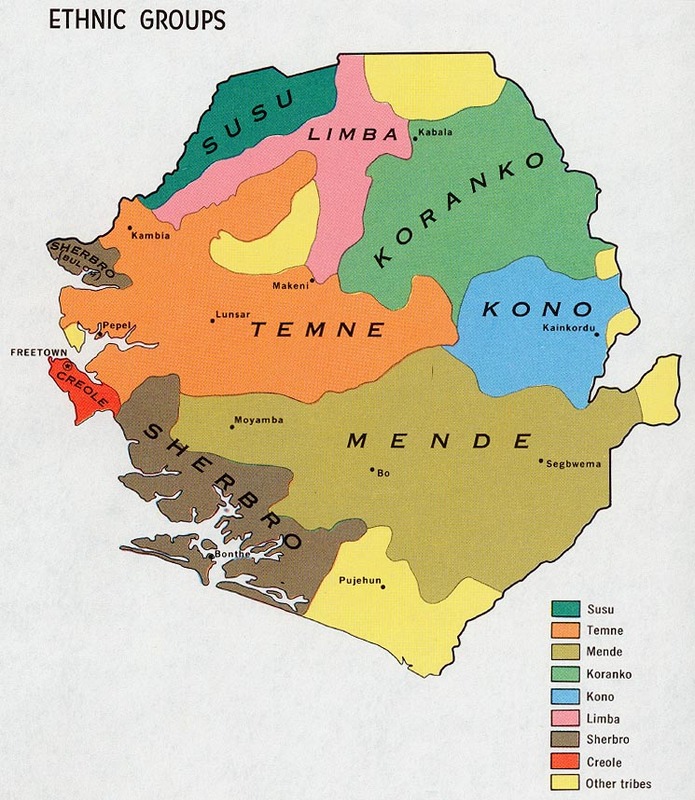 * Scripture Prayers for the Temne in Sierra Leone.